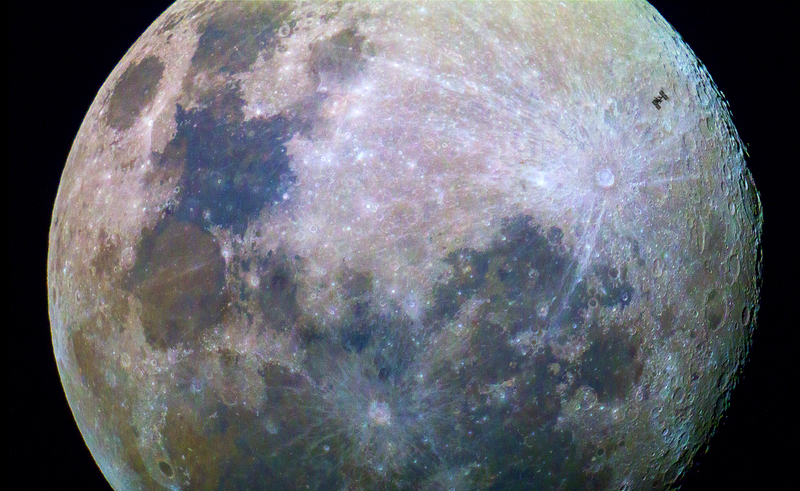 For the second time this month, the Moon is about to become full. There was one full Moon on July 2nd, and now a second is coming on July 31st. According to modern folklore, whenever there are two full Moons in a calendar month, the second one is called "blue" explains NASA. But if you look up to the heavens tonight, don't expect a change in the moon's regular hue. Most Blue Moons look pale gray and white, just like the Moon you've seen on any other night. Squeezing a second full Moon into a calendar month doesn't change its color. However, on rare occasions the Moon can turn blue due to natural disasters like volcanic eruptions or wildfires as NASA explains in below video. And sometimes photographers like Ray Mandra have fun using a blue filter on his below photo of the August 2013 blue moon taken from Brewster, NY. Learn more about this rare celestial event in this NASA video and have a fun, safe weekend all!